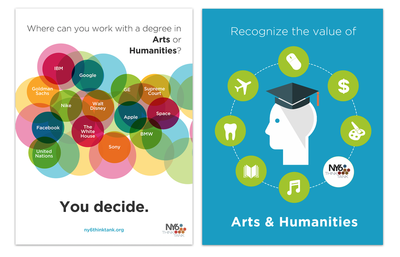 As a young professional (in any field), what would you like to share about the powerful and perhaps unusual role of the arts and humanities in your work? Write a short essay (~1500 words), a comic strip, a zine, an infographic, an interview, a poster, a design, a photograph, a visualization, or any other publishable material. To Submit, just send your contributions to Christine Henseler (henselec@union.edu). Submissions will be accepted on a rolling basis until complete. This book project is being developed by Christine Henseler, co-director of 4Humanities, regular contributor to The HuffPost, developer of The Arts and Humanities in the Twenty-first Century Workplace website (http://www.ah21cw.com), and Professor of Spanish and Hispanic Studies at Union College, NY.